Are you Implementing a Digital, Content or Inbound Marketing Approach? Over the past couple of weeks, I’ve had the opportunity to spend time with family and friends that I haven’t seen for several months or in some cases, a few years. It has been a lot fun catching up on everything from kids to vacations to new houses to jobs. Something that struck me about these conversations was the number of questions I was asked about my job. When I updated people on my current role with Imagine, they were totally intrigued by the idea of inbound marketing. They were so interested in knowing more about what that is and what we do at Imagine. This was surprising to me because many of them, in their professional lives, deal directly with sales, marketing and/or leadership. 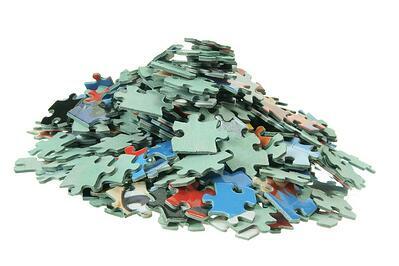 I was shocked that they didn’t have a better understanding of what inbound marketing is and how it fits into the overall sales and marketing puzzle. Many had a general idea but confused inbound with content or digital marketing. Some had no idea at all and that was scary to me because of their roles. To give some context, within the group of people I have recently spent time with there was a vice president of sales in building materials, the president of an engineering company, the owner of a dental supplies company, a sales manager for an industrial supply company and the owner of a small manufacturing business. I realize that as someone who practices inbound marketing every day, it is easy to lose sight of the relative newness of the overall philosophy. Truth be told, I still consider myself a newbie. It was only three years ago that I first started to learn about it. These conversations reminded me of an article I wrote earlier this year defining and describing digital, content and inbound marketing. Since I had this recent personal experience, I decided to share an excerpt from the article, Digital? Content? Inbound? What's the Difference? What's your Approach?, here. 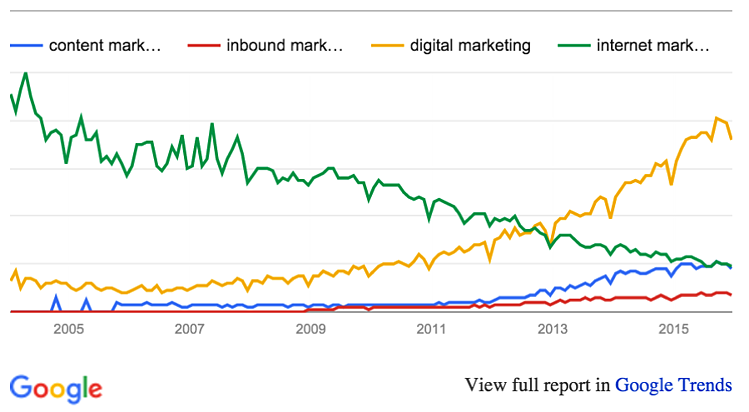 In the last five years, a lot has been written about inbound marketing, content marketing and digital marketing. It seems like every day brings something new related to these marketing topics. While it is difficult for marketers to keep up, it is an even bigger challenge for small business owners, CEOs, COOs, CFOs, presidents, sales managers and sales reps to follow and truly understand the best approach to marketing their products and services. Many times content marketing and inbound marketing, for example, are used interchangeably. Digital marketing is tossed around and confused with inbound marketing. The misunderstandings that this can create within the growth team for any organization can be a cause of frustration and friction. More importantly, depending on your type of business and growth goals, adopting a digital marketing approach as opposed to an inbound approach could be the difference between success and failure. In this article, I will explain each term and how they are different. After reading, you can decide which approach is truly the best for you. Everyone’s talking about content marketing. Haven’t you heard, “Content is king?” But what is it exactly? But wait, is that really new? Marketers have been creating content to “attract and retain a clearly-defined audience” since the beginning, haven’t they? I’d argue that content is the raw material that fuels all types of marketing – not any specific marketing approach. With that said, today content takes many forms. It can be blog posts, whitepapers, videos, infographics, ebooks, podcasts, articles, checklists, webinars…the list goes on and on. So the content marketers use today has changed but the concept is not new. In fact, the earliest example that is referred to often in articles about the history of content marketing is a publication called The Furrow from the John Deere Corporation. The publication began in 1895 and its purpose was, and still is, to educate farmers about trends, how to run their business’ better, etc. Another example of content that was created long before content marketing became a term is from Jell-O. Before it was a household name, people weren’t sure what to do with it. So in 1904, Jell-O began creating and distributing cookbooks teaching people how to cook with Jell-O. In just two years, they were able to see their annual sales rise to $1 million. Other companies that began using content to fuel their marketing efforts at least 100 years ago (in some cases more) include Sears, P&G, Hasbro and Michelin. There was even a B2B company that started using a content marketing approach in 1913…it was Burns & McDonnell Engineering. They launched a customer-focused magazine called Benchmark that is still published today. So while the conversation around content marketing has definitely picked up over the last 5-8 years, the tactic itself really isn’t new. In fact, it has been a very successful tactic for a very long time. What has changed is the way content is distributed and the access to it. Today, most content is not delivered to the target audience by the US Postal Service. Today, people receive content most often through email or social media and they have grown to expect it to be available 24/7/365. That’s where the challenge lies – keeping up with the demand for fresh, educational, relevant content. To read the entire article, click here or on the call-to-action below.